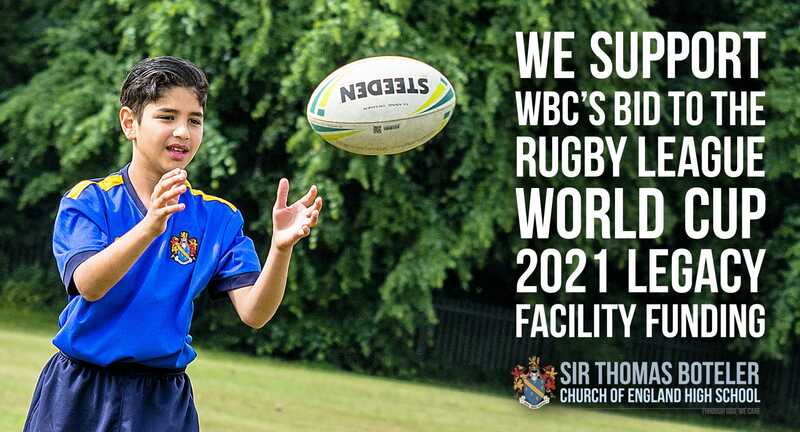 We would like to confirm our support for Warrington Borough Council’s bid to the RLWC 2021 Legacy Capital Fund to develop and improve facilities at the Victoria Park Site. The current facilities for training and playing are at a premium in the town. The current facility has become a great asset for the school sports calendar and the students are inspired to play in competitions. The vision for a Community Hub for Rugby League Development would markedly support the high standards set by Warrington in supporting our students. Schools are under a lot of pressure due to financial constraints. They are heavily measured upon their academic performance so physical activity often gets overlooked. Although we consider sports and physical activity as a core component to a young person’s development, it is difficult for us to support. Without the extensive support of the Warrington Wolves Foundation under the SKY TRY initiative, rugby in schools would have deteriorated. However, this support has seen all of our high schools in Warrington receive England Talent Pathway (ETP) accreditation. The Warrington schools also have a very competitive league, which has seen some schools start to achieve great success in the Champion Schools Competition. A prosperous girls programme has gained a lot of attention and momentum. More girls are now interested in playing rugby and the need for a school and community pathway has never been greater. A community hub facility where competition and development programmes could be run regularly on a high quality surface would seriously benefit schools and our students.